Floppy, flat and fabulous, the stuffing-free Floppy Giraffe dog toy is designed for dogs that have a tendency to love traditional plush toys to pieces. 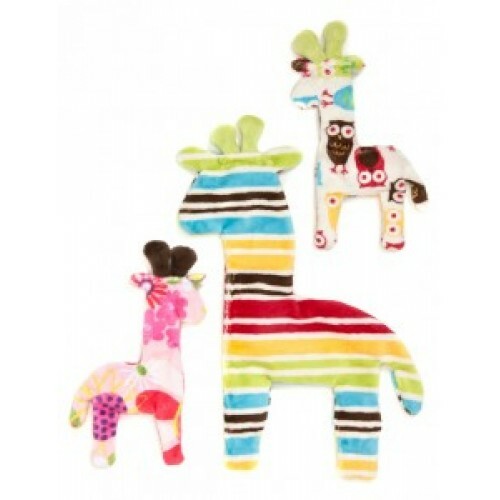 Great for pouncing, shaking, tossing and retrieving, this lively giraffe-shaped dog toy. 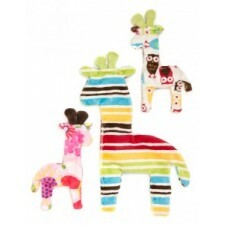 Because it's made with baby-blanket soft material, Floppy Giraffe is as soft and snuggly as it is fun. You pick the size and we’ll send you a fun color. Made with machine washable and dryer-safe polyester.